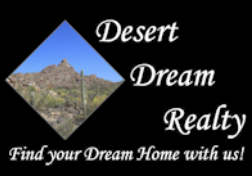 REAL ESTATE LISTING VIDEOS | Desert Dream Realty Cave Creek | 480-252-8300 | Find Your Dream Home with Us! Browse through our real estate listing videos. If you see something you like you can click on the link at the bottom of each video to see descriptions, pricing and pictures. Contact one of our real estate agents TODAY for a personal viewing. If you would like more information on this north Scottsdale lot for sale or other Scottsdale property, call Darren Forstie at 480-213-2201 or Tammy Seymour at 480-586-0377 dedicated, educated experienced top producing real estate agents with Desert Dream Realty NOW! See price and more information for 86XX E Via Dona Rd, Scottsdale, AZ 85266 at http://bit.ly/2jHdg00. Thoughtfully designed 4,403 square foot custom home with horse features and private guest quarters located on over 100,000 square foot lot with private block wall perimeter. Guest quarters feature a private kitchen, living room, bedroom, and laundry area with direct access to main house. Horse features include round pen, horse area, full tack area, turn-out area, horse shade with concrete pad and covered hay storage. No HOA with an RV gate allows parking for an RV, horse trailer, boat, and all your toys! 6 car garage with 1,760 square feet of garage space. With Spanish architecture, 100+ tons of custom stone work throughout the exterior and interior, and indoor waterfalls, this home emanates Arizona. If you would like more information on this Cave Creek home for sale or other Cave Creek property, call Ashley Hutson at 602-291-4090 dedicated, educated experienced top producing real estate agents with Desert Dream Realty NOW! See price and more information for 35030 N 51st St, Cave Creek, AZ 85331 at http://bit.ly/2E6OJtf. Beautiful & convenient north Scottsdale Location! Spectacular Mountain Views! 4.725 acres of beautiful desert along Pima Rd in an area of luxury custom homes. Build a custom home or start a ranch! Views of Four Peaks, Pinnacle Peak, Lone Mountain, Black Mountain, Continental Mountains. Mature saguaros, Palo Verde trees and lush desert vegetation are there to enjoy. Plenty of room to roam. Great horse property. So much potential!! Presently Zoned R-190 Residential. Mostly rectangular parcel with majority of frontage on Pima Rd. See agent for Plat Exhibit for a proposed 4 way split of almost 20 acres. This is Lot 4. No HOA. Buyer to verify all facts, figures, measurements and anything material to buyer. If you would like more information on this north Scottsdale lot for sale or other Scottsdale property, call Darren Forstie at 480-213-2201 dedicated, educated experienced top producing real estate agents with Desert Dream Realty NOW! See price and more information for 8604 E Via Dona Rd 04, Scottsdale, AZ 85266 at http://bit.ly/2MS8jvR. If you would like more information on this north Scottsdale land for sale or other Scottsdale property, call Darren Forstie at 480-213-2201 dedicated, educated experienced top producing real estate agents with Desert Dream Realty NOW! See price and more information for 8603 E Via Dona Rd 03, Scottsdale, AZ 85266 at http://bit.ly/2GaQgRd. Beautiful & convenient north Scottsdale Location! Spectacular Mountain Views! Almost 4.5 acres of beautiful desert along Pima Rd in an area of luxury custom homes. Build a custom home or start a ranch! Plenty of room to roam. Great horse property. So much potential!! Presently Zoned R-190 Residential. This is Lot 2. No HOA. Buyer to verify all facts, figures, measurements and anything material to buyer. See your agent for Plat Exhibit for a proposed 4 way split of almost 20 acres. This is Lot 2. See price and more information for 8602 E Via Dona Rd 02, Scottsdale, AZ 85266 at http://bit.ly/2GfadpU. Beautiful & convenient north Scottsdale Location! Spectacular Mountain Views! Almost 4.5 acres of beautiful desert along Pima Rd in an area of luxury custom homes. Build a custom home or start a ranch! Views of Four Peaks, Pinnacle Peak, Lone Mountain, Black Mountain, Continental Mountains. Mature saguaros, Palo Verde trees and lush desert vegetation are there to enjoy. Plenty of room to roam. Great horse property. So much potential!! Presently Zoned R-190 Residential. Mostly rectangular parcel with majority of frontage on Pima Rd. See your agent for Plat Exhibit for a proposed 4 way split of almost 20 acres. This is Lot 1. No HOA. Buyer to verify all facts, figures, measurements and anything material to buyer. Mountain/City Light Views!! Beautiful 3 bedroom, 2 bath single-story home with split master suite, open floor plan on over half acre in Desert Hills Estates in far north Phoenix. Enjoy cozy nights by the gas fireplace in spacious great room, vaulted ceilings.. Don't miss the custom stained glass windows. Convenient kitchen with island, Stainless Steel appliances, gas range, lots of cabinets and counter space. Breakfast room or office off kitchen. Newer Low E windows and patio door. Tile throughout home. Huge 40' X 10' covered patio across back of home plus extended flagstone with fountain & firepit. Desert landscaping front and rear with citrus trees and shade to enjoy privacy in this easy to care for home. Insulated 3-car garage. New exterior paint in 2016. New water softener in 2017. If you would like more information on this Desert Hills home for sale or other Desert Hills Estates property, call Jennifer Patnode 480-324-6050 or Tammy Seymour 480-586-0377 dedicated, educated experienced top producing real estate agents with Desert Dream Realty NOW! See price and more information for 37822 N 1st St, Desert Hills, AZ 85086 at http://bit.ly/2WT8H1V. Beautiful Madera home in Sun City Grand! Corner lot with many upgrades! Enter the home thru a beautiful courtyard (many mature plants) and see the wonderful floorplan the Madera model has to offer. The kitchen has real hard wood flooring, granite countertops, pull out shelving (throughout house) and more! Brand new carpet throughout and come see the beautiful custom built-in bookshelf in the den! The backyard has mature plantings on irrigation and a comforting waterfall. Note there is only 1 adjacent neighbor due to the corner lot. Come see this amazing home today! If you would like more information on this Sun City West home for sale or other Surprise Property, call Darren Forstie at 480-213-2201 dedicated, educated experienced top producing real estate agents with Desert Dream Realty NOW! See price and more information for 18321 N Verde Roca Dr, Surprise, AZ 85374 at http://bit.ly/2DX4zqf. If you would like more information on this Cave Creek lot for sale or other Cave Creek property, call Ashley Hutson at 602-291-4090 dedicated, educated experienced top producing real estate agents with Desert Dream Realty NOW! See price and more information for 30XXX N 56th St 211-45-096, Cave Creek, AZ 85331 at http://bit.ly/2DTX5Ec. If you would like more information on this Phoenix home for sale or other Desert Hills Property, call Darren Forstie at 480-213-2201 dedicated, educated experienced top producing real estate agents with Desert Dream Realty NOW! Spectacular Custom-Horse Property Home On 2.5 Acres! Prime Location of Cave Creek! Gated front Court Yard-Pergola Cover- Cedar Front Door. This home has 3 bed & 3 baths-Master Bed opens up to back patio & pool area, 2 walk in closets & Large Walk in Shower/Steam Room attached workout room and library. Custom Stone Flooring throughout,Custom Cabinets with Granite & Glass Counter tops, Only the best-Viking Appliances! Open Floor plan-Family room opens to pool,Dining,Game Room,& Atrium! (Water Fountain-Sky light)great for entertaining guests. Covered Back Patio with Gas Grill,Pool,Jacuzzi,Sauna,& Spiral Staircase to Sun Deck for great Arizona Sun Sets! 7 Stall Barn - includes Stud & Foaling Stall,Tack Room,Turn out or Riding Arena! TO Much TO LIST! If you would like more information on this Cave Creek home for sale or other horse property, call Ashley Hutson 602-291-4090 dedicated, educated experienced top producing real estate agents with Desert Dream Realty NOW! If you would like more information on this Cave Creek land for sale or other Cave Creek property, call Darren Forstie at 480-213-2201 dedicated, educated experienced top producing real estate agents with Desert Dream Realty NOW! Brand new, beautifully constructed home on 1.2 acres in New River! Come enjoy the country lifestyle- large properties (lots of elbow room), quiet evenings, beautiful sunsets beyond Daisy Mountain, and starry nights! This home features the latest design trends through out including tiled showers, 5 inch baseboard, luxury plank vinyl flooring and more! The kitchen showcases white shaker cabinets, stunning quartz countertops and a large island! Home on a shared well (3 ways) and septic. If you would like more information on this New River home for sale or other New River Property, call Darren Forstie at 480-213-2201 dedicated, educated experienced top producing real estate agents with Desert Dream Realty NOW! See price and more information for 43219 N 7th Ave, New River, AZ 85087 at http://bit.ly/2MD4pqL. If you would like more information on this Carefree lot for sale or other Carefree property or custom home sites, call Michael Ragains at 480-216-5483 dedicated, educated experienced top producing real estate agents with Desert Dream Realty NOW! See price and more information for 38788 N Rising Sun Rd 49, Carefree, AZ 85377 at http://bit.ly/2TkxDx5. In the Town of Carefree-build your custom home adjacent to the tennis court on this lot or use the court site for a sport court or building site. Either way, this lot affords mountain views in a deed restricted subdivision of fine custom homes. Paved streets and underground utilities. Topographical map and a preliminary site plan for approx. 3000sf home available. See price and more information for 36419 N Romping Rd 64, Carefree, AZ 85377 at http://bit.ly/2DG5xqu. See price and more information for 44015 N Spur Cross Rd, Cave Creek, AZ 85331 at http://bit.ly/2CKdwkL. Resort like Entertainment home with pool, spa and outside kitchen with gas barbq and fridge. NO HOA. Guest home has patio deck and private entrance from 1 car garage and pool area. Home is set up for next gen quarters, teens, relatives or rental. Home has stunning views of area hills, hiking &amp; water park is close by. High end front security door, designer security doors at back of home entrance/exit to family room and master. Jack and Jill tandem bedrooms with tub/ shower, and dual sinks. Home has all around security system. Kitchen has 42''Cherry Cabinets and granite counters. 5th car garage has tons of storage and security on window. Has a gated area to store RV'S. Lots of parking! Master bath has a 15k walk in tub, large shower and walk in closet. Sitting area could be for workout equipment. If you would like more information on this Glendale home for sale or other Alexandra Point Two homes call Kay Jenne at 623-680-9609, dedicated, educated experienced top producing real estate agents with Desert Dream Realty NOW! See price and more information for 4513 W Park View Lane, Glendale, AZ 85310 at http://bit.ly/2S2JOBg. Move-in ready beautiful 2012 semi- custom HOME on elevated 1.12 Acre Lot, Private Well, Paved roads & Spectacular Mountain Views. This Spacious 4 Bed 2 Bath Split floor plan includes an Upgraded kitchen with Soft Close 42'' Cabinets, Slab Granite Counters, custom range hood & backsplash, Stainless Appliances, & 2 R/O systems. The Master Suite includes a large Bath with walk-in Shower, Dual Vanity Slab Granite and Huge Walk-in Closet. Take in the views from the large wraparound deck with Hot Springs hot tub. Plush Carpeting, two-tone paint, Satin Nickel hardware. Smart Home features NEST thermostat, Phillips hue lighting, dual pane windows, R-19 Wall & R-24 Attic insulation. Water softener & purification system. Beautiful built in garage cabinets & workbench. Oversize garage has beautiful built-in cabinets, water softer and purifying system. Private lot, NO HOA If you would like more information on this New River home for sale or other North Phoenix property, call Shelley Baardsen at 623-687-4747 dedicated, educated experienced top producing real estate agents with Desert Dream Realty NOW! Custom Home Site on 2 1/2 acres in North Scottsdale AZ! Situated at the end of cul de sac with Amazing Majestic Mountain views all around, surrounded by saguaro cactus & natural Sonoran Desert! Boundary & Topographic Survey complete. (Details in Document Section in MLS). Horse Privileges , City Water, and just minutes from the best shopping and restaurants! If you would like more information on this Scottsdale lot for sale or other Scottsdale property, call Ashley 602-291-4090 dedicated, educated experienced top producing real estate agents with Desert Dream Realty NOW! PERFECT STARTER HOME! This 2 Bed 2 Bath has upgraded kitchen. All Tile Floors. Expansive Hallway leads to bedrooms, each have walk-in closets! Large low maintenance backyard with RV Gate and fully blocked fence. An enclosed patio for extra space and cozy pergola for enjoying the outdoors with family and friends. Close to elementary school and great neighborhood park. If you would like more information on this Phoenix home for sale or other Stardust Skies property, call Denice Bryan at 602-885-7530 or Dustin Bryan at 480-213-7186 dedicated, educated experienced top producing real estate agents with Desert Dream Realty NOW! See price and more information for 3909 W El Caminito Dr, Phoenix, AZ 85051 at http://bit.ly/2TZThav. Beautiful Sunburst Farms home with a pool and huge yard (nearly 1/2 ac) in a great Glendale location! The 2039 sf home includes 3 beds & 2 baths with a bonus/game room. The home is blocked constructed and features a beautiful remodeled kitchen (granite countertops & self closing hinges), stainless steel appliances, new carpet, fresh paint inside & out, remodeled baths, dual pane windows, newer roof, and more! Home is very energy efficient with foam decking in the attic, foamed east, west & south walls, an 18 seer AC unit and a smart thermostat. The back yard has a large grass area, ramada, shed and a large slab for RV or boat parking. The property is zoned SR-12 (Suburban Residential), country living in the city! If you would like more information on this Glendale home for sale or other Sunburst Farms Property, call Darren Forstie at 480-213-2201 dedicated, educated experienced top producing real estate agents with Desert Dream Realty NOW! See price and more information for 5827 W Marconi Ave, Glendale, AZ 85306 at http://bit.ly/2Slb2zE . Hilltop custom home on the South side of Carefree Highway perched on 1.16 acre lot, paved roads, NO HOA's, and panoramic VIEWS that will leave you breathless!! This home is energy efficient with solar panels that the lease has been pre-paid in full....so you get LOW APS bills, with NO lease payment. 4 bdrm 3 ba open flowing floor plan, lighted niches, archways, gourmet kitchen w/ solid slab GRANITE counters, built-in Kitchenaid refrigerator, Thermador built in oven, microwave, and cooktop, island, breakfast bar & plenty of counter space! STUNNING views from EVERY window . Serene backyard setting has full covered patio, built in BBQ, firepit with seating. Spacious master en-suite opens to patio, bath has tiled shower with dual shower-heads AND separate garden tub, dual vanities. PLUS his-n-her walk in closets. Other bedrooms have jack-n-jill bath. 3-car garage, and pad for RV parking. Great for Entertaining! Blocks from the Sonoran Preserve, close to I-17 , shopping, restaurants, and Lake Pleasant. If you would like more information on this North Phoenix home for sale or other North Phoenix property, call Shelley Baardsen at 623-687-4747 dedicated, educated experienced top producing real estate agents with Desert Dream Realty NOW! If you would like more information on this Mesa home for sale or other Woodridge Lake property, call Jennifer Patnode 480-324-6050 or Tammy Seymour 480-586-0377 dedicated, educated experienced top producing real estate agents with Desert Dream Realty NOW! Welcome to this amazing Cave Creek home that has been recently remodeled and updated with only the best Custom Finishes! Surrounded by natural desert and beautiful mountain views! This 3 bedroom 2 bath home is situated on 1.14 acre lot! Open bright floor plan with 2,416 sq ft, lots of windows, perfect for entertaining guests! Kitchen has Custom Wood Cabinetry, Granite Counter Tops, and Stainless Steel Appliances! Upgraded - Tile, Stone and Wood Flooring throughout! Spacious Master Suite with Walk in closet & upgraded Tile/Stone walk in Shower! Sparkling Pool in back yard with a covered patio great for barbeques! Plenty of room for toys and motorhome! Shopping is just minutes away! Don't miss the opportunity to live in this beautiful Cave Creek home on acreage! If you would like more information on this Cave Creek home for sale or other Cave Creek horse property, call Ashley Hutson 602-291-4090 dedicated, educated experienced top producing real estate agents with Desert Dream Realty NOW! See price and more information for 5336 E Tapekim Rd, Cave Creek, AZ 85331 at http://bit.ly/2OpXbpg. If you would like more information on this Lost Acres Estates home or other Carefree property, call Tammy Seymour 480-586-0377 or Jennifer Johnson 480-324-6050 dedicated, educated experienced top producing real estate agents with Desert Dream Realty NOW! See price and more information for 5694 E Perdido Dr Carefree, AZ 85377 at http://bit.ly/2yqWYgm. If you would like more information on this North Phoenix land for sale or other lots, call Denise Miller at 602-690-6600, dedicated, educated experienced top producing real estate agents with Desert Dream Realty NOW! Own a patented GOLD MINING CLAIM with SPECTACULAR VIEWS!! Includes unbelievable mountain top OFF-THE-GRID CUSTOM HOME with covered viewing patio/deck surrounding all sides on over 10 acres in far north Cave Creek. Completely self-sufficient owner-built home with soaring ceilings, open floor plan, granite counter tops, lots of cabinets, huge island in kitchen open to living/dining area w/large windows to bring in the view. Spacious Master Suite has sitting area, walk-in closet, separate jetted tub/shower. Unique energy-efficient home uses wind & solar with back-up generator for power, propane for gas and hauled water with 10,000 gallon water holding tank. Enjoy peace & quiet. Bring your horses & toys. MUST SEE this Magazine Mining District property adjacent to the Red Rover Mine! Cash Only! COME SEE this One-of-a-Kind 3 bedroom, 3 bath Home with en-suite baths. Turnout for horses, fenced dog run. Lots of room to ride. Perimeter fence around all 10 Acres. Enjoy complete privacy and lots of wild life!! If you would like more information on this Cave Creek home for sale or other Magazine Mining District property, call Jennifer Patnode 480-324-6050 or Tammy Seymour 480-586-0377 dedicated, educated experienced top producing real estate agents with Desert Dream Realty NOW! If you would like more information on this Harquahala Ranches property or other Tonopah property, call Tammy Seymour 480-586-0377 or Jennifer Johnson 480-324-6050 dedicated, educated experienced top producing real estate agents with Desert Dream Realty NOW! If you would like more information on this West Phoenix Estates property or other Tonopah property, call Tammy Seymour 480-586-0377 or Jennifer Johnson 480-324-6050 dedicated, educated experienced top producing real estate agents with Desert Dream Realty NOW! Build your dream home on 1.42 acres in area of custom homes south of Wittmann. No HOA. Motivated Sellers. Sellers will carry. Taking all offers. If you would like more information on this Wittmann lot for sale or other Wittmann property, call Ashley Hutson at 602-291-4090 dedicated, educated experienced top producing real estate agents with Desert Dream Realty NOW! Beautiful level over 4 acres to build your dream home in Whispering Ranch Subdivision west of Wittmann. Peaceful, quiet with lots of room to roam. No HOA. Lots of room for your horses and all your toys. Start your dream in Wittmann on an acre lot! Easy to build level single family lot is just waiting for you to build your dream home. Great triangle lot with space for horses and all your toys, creek for character and more! Unincorporated area and no HOA! Drive by and check it out! There is a sign on the property. If you would like more information on this Congress lot for sale in Saddle Creek Ranch call Tammy Seymour 480-586-0377 or Jennifer Johnson 480-324-6050 dedicated, educated experienced top producing real estate agents with Desert Dream Realty NOW! Find your Dream Home with us!